Former president A P J Abdul Kalam's grandnephew resigned from the Bharatiya Janata Party on Monday as he was 'upset over the failure of the Modi government' to convert the residence of the former president into a knowledge centre. A P J Syed Haja Ibrahim, who had joined the BJP in 2012, resigned as vice president of the minority wing of the party's Tamil Nadu unit and also from its primary membership. "It (setting up a knowledge centre) was the wish not only of the former president, but the entire nation. I am resigning from my post as this centre has not been set up despite repeated requests. I am also resigning from the primary membership of the BJP," he said. The No 10 Rajaji Marg bungalow in Delhi, occupied by Kalam till his death in July, has been allotted to Union Culture Minister Mahesh Sharma, a move which had drawn flak from various quarters. Delhi's ruling Aam Aadmi Party had also criticised the Centre’s decision. Interestingly, Sharma was allotted the bungalow soon after he sparked a controversy by saying that Kalam was a 'great man and a nationalist despite being a Muslim'. Coming out with a press statement, Ibrahim said the act of the BJP government in not converting the bungalow into a knowledge centre, disregarding the overall demand of the people, was 'disheartening'. "The sole purpose of converting his house into Knowledge Centre is for students and youngsters to learn and to know the farsighted vision of Dr A P J Abdul Kalam. But the Government of India rejected the request and allotted the house to central minister Mahesh Sharma and now he is living there." Ibrahim further said that the BJP, in which he took part in serving the public, "failed to fulfil the overall demand of the people of India. "This act of the BJP Government is disheartening to the public and hence I would like inform through this press release that the demand and suggestion I have received from the students and young communities, public and the people who have deepest affection towards Dr A P J Abdul Kalam forced me to resign from the leadership position and basic membership of the BJP," he said. Ibrahim said he has submitted his resignation letter to the state head of the BJP. 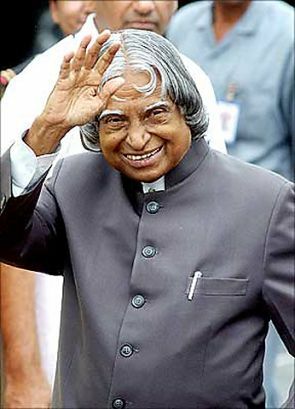 He said he would continue with his public services along with his friends, as per the advise of Kalam, for the betterment of the state and nation. Do you have these skills to get ahead at work?